Cute photo for a serious matter. After BookCon, a major NY event for readers, listed their author’s lineup: 31 white males with one cat (Grumpy Cat), an article “Readers Deserve Better Than BookCon,” made the headlines. 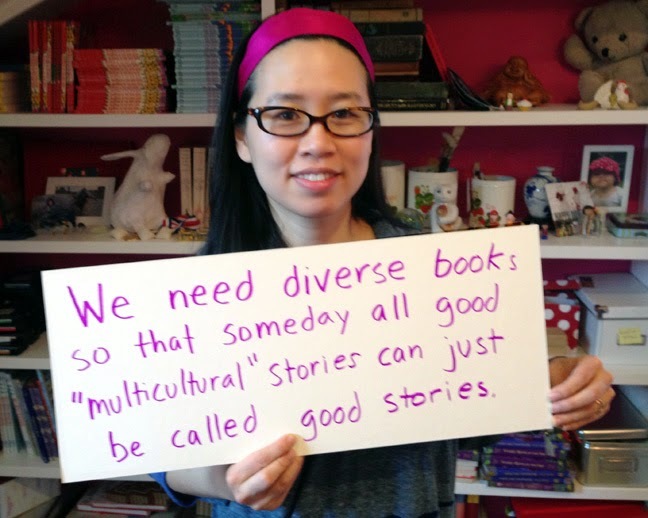 The article inspired a grassroots effort, #WeNeedDiverseBooks (#WNDB), to call attention to the continuing lack of diversity in children’s and young adult literature. I can identify with this effort. Nothing I read in my first 18 years, and I was/am a prolific reader, reflected my own experiences, setting, or ethnicity. I found a couple when I was in college but those were Mexican or South American authors, all male. A few years later, I discovered Sandra Cisneros, and everything changed for me. That’s when I believed that my experiences had value and that they mattered. 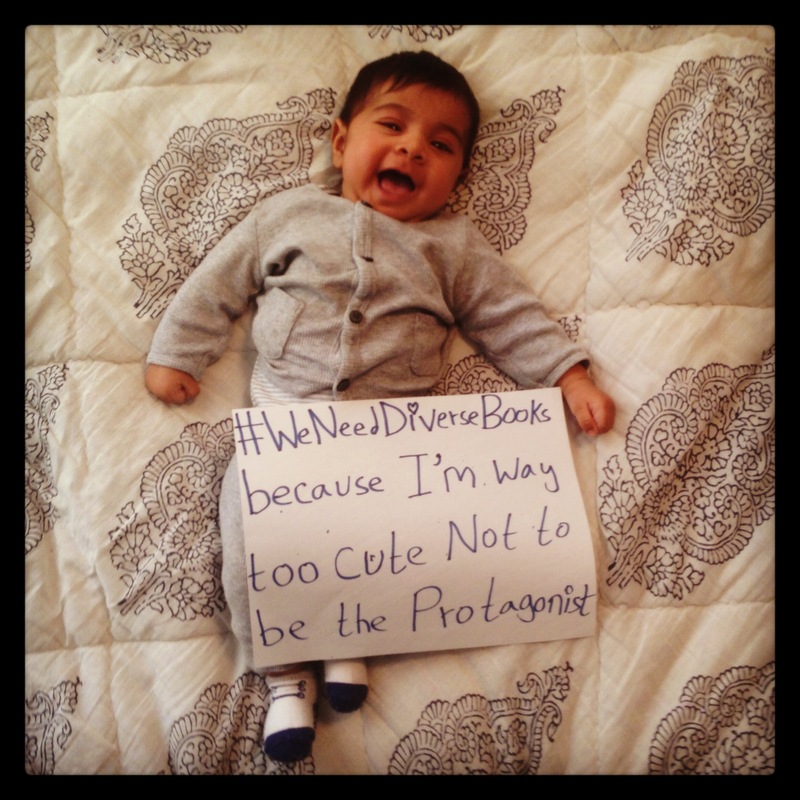 The #WNDB campaign, initiated by a group of 22 authors, bloggers, and publisher Lew and Low, hoped to “raise [their] voices into a roar that can’t be ignored”. The NY Times, CNN, Guardian, Huffington Post, among others, picked up this issue. There are some thought provoking, inspiring, words from kids to adults. On Friday, a Twitter chat about the issue and why it matters using the hashtag #WeNeedDiverseBooks stimulated lots of conversation. 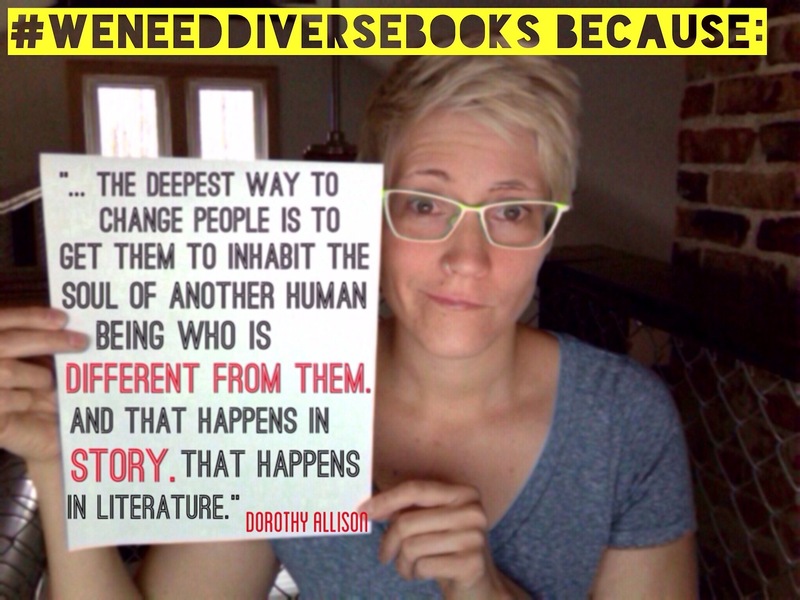 There were over 107,000 tweets and retweets during the #WeNeedDiverseBooks campaign. 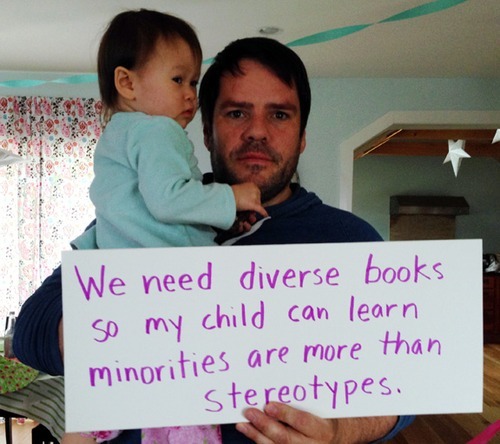 On Saturday, the “Diversify Your Shelves initiative encouraged people to buy diverse books and take photos of them. He makes several good points that anyone can take to enrich our life and those we care about. Finally, we need to cultivate globally knowledgeable, compassionate, literary children and adults. For a great list of children and YA books, go to independent publisher, Lew and Low’s book list. 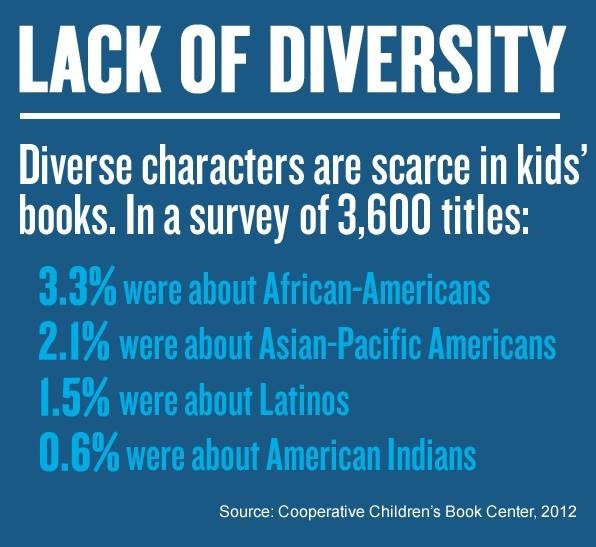 #WeNeedDiverseBooks facts and figures are compiled here.